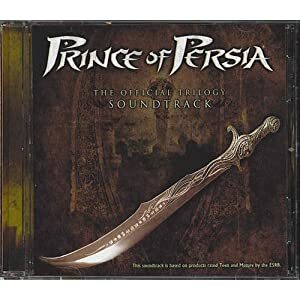 This album is a compilation of tracks from the first three Prince of Persia video games. There is a good mix of tracks. Some would be great Middle Eastern setting music, while others are battle tracks and some are suspenseful. “Trouble in the Barracks” really needs to go though. The rest of the album is great score writing with a variety of instrumental voices and “Trouble” is the most generic fight song you’d expect from a video game trying to sound modern. Crunchy guitars and bass play the simplest and most uninventive chugging hard rock these ears have heard. Too bad because it starts out and ends great.